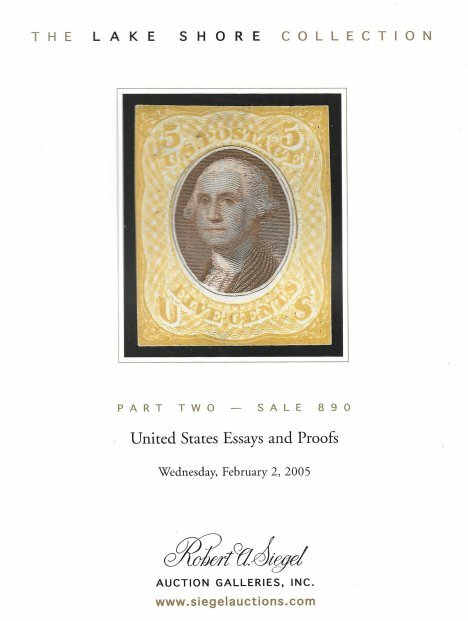 Between February 5th, 2005 and April 30th, 2006, the firm of Robert A. Siegel Auction Galleries, Inc. sold over six million dollars of stamps, covers, essays and proofs on behalf of a late client of mine. 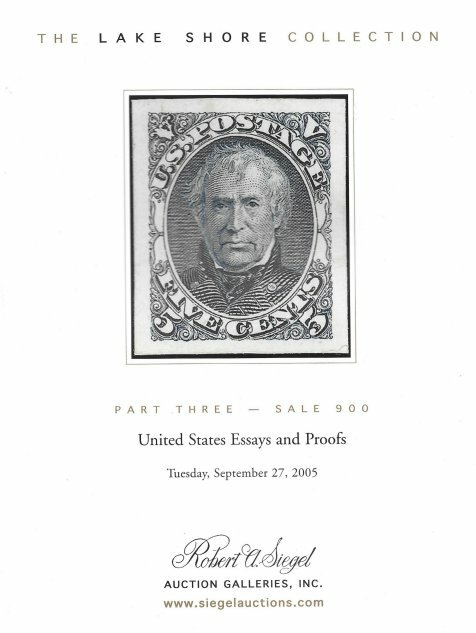 These three sales contained just essays and proofs and it was far and away the largest assemblage ever offered outside of the 1940s Crawford sales. The three catalogs are in full color and come with prices realized. $50.00 + $5.00 shipping via media mail Click to order. 2c Jackson in black, surface printed die impression on white paper, complete envelope. Very rare. $1,000.00 Click to order. 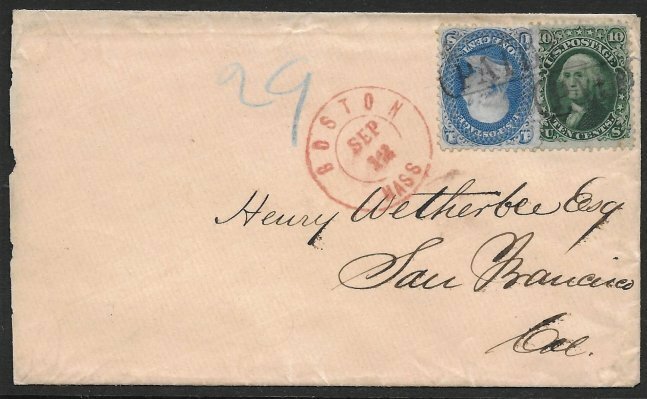 6c Carmine tied by full strike of “Shield” Chicago “Blue” cancel (Berg No. 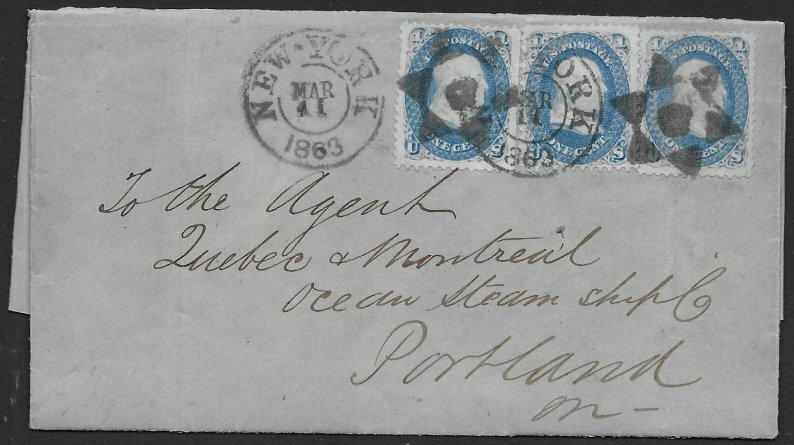 SHD-1) on cover to Montreal, Canada. Blue Chicago – Dunlieth R.P.O. cancel. Docketed: manuscript “8/17-71”. 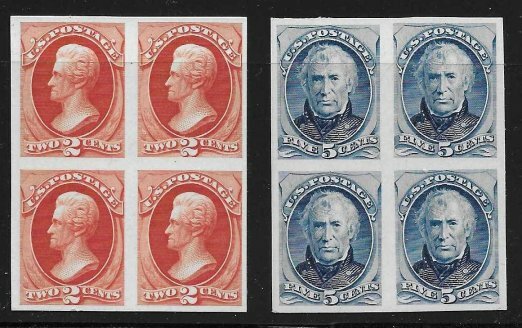 Small fault upper right corner, stamp not affected $275.00 Click to order. with excellent 6-pt Star Cancels! 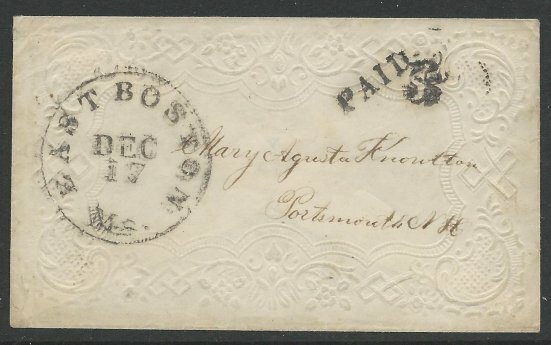 63 – To Quebec & Montreal Ocean Steam Ship Co.
We pay very competitive prices for U.S. essays, proofs, fancy cancels, 19th century covers & stamps, plus philatelic literature! Call us at (847) 910-6048 or E-Mail Us Now. We'll respond immediately. In addition to material you see here, we're always happy to send you a selection on approval. Click to sign up now. View Our Latest Newsletter Online! 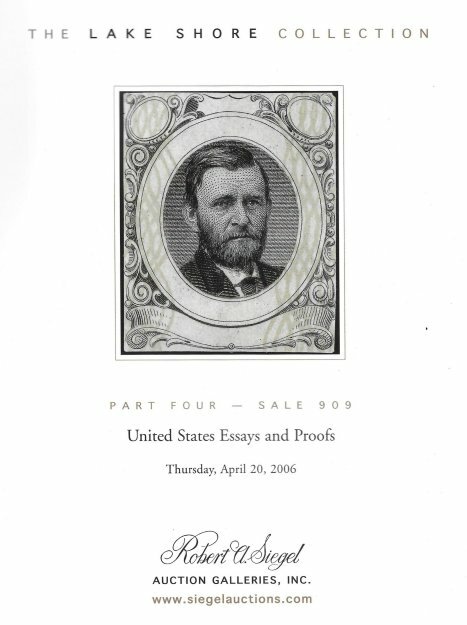 View all twenty pages of the 89th edition of our Newsletter released on February 7, 2019---which includes scores of one-of-a-kind stamps and postal history---plus books, too! 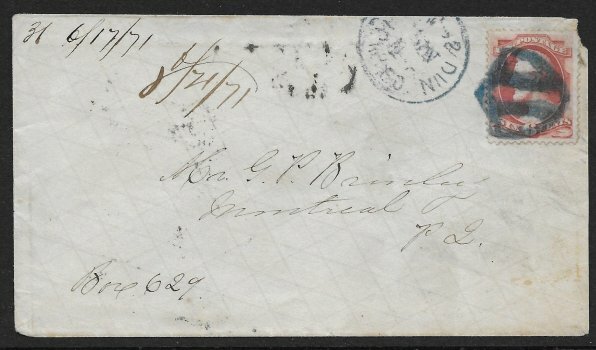 Our 1869 Essays & Proofs Page Has Been Completely UPDATED with Countless NEW ITEMS Added to the Page. Click here. 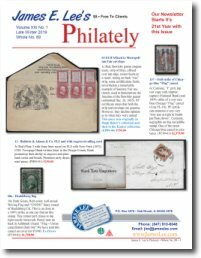 We now can send you our SPECIAL BIWEEKLY E-MAIL NEWSLETTER on new and important philatelic material that's been added to our stock. Sign up to receive these semi-monthly notices. Please enter your name and e-mail address in the box and press "Sign Up" CLICK HERE! 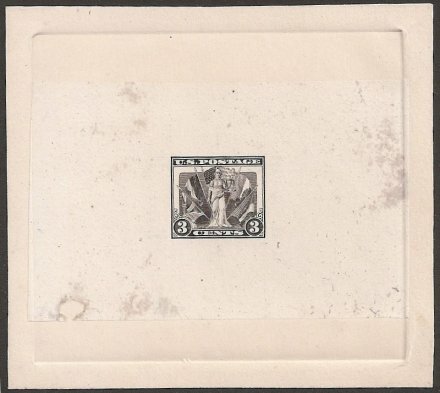 3c black, die essay pulled on India paper and die sunk on card blotter. The incomplete engraving lacks shading in the border and the flags are unfinished. 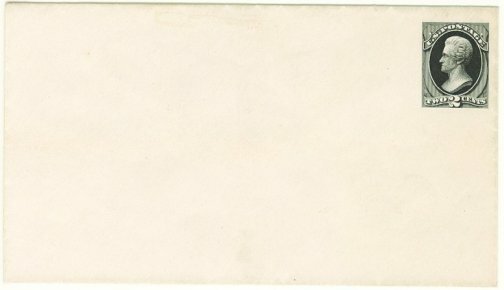 It contains the Bureau proving room number 936356 on the back. It is also is stamped: “Jun 25 1919”. Probably a duplicate die based on the date and no doubt unique. $3,000.00 Click to order. scarce as India paper blocks! 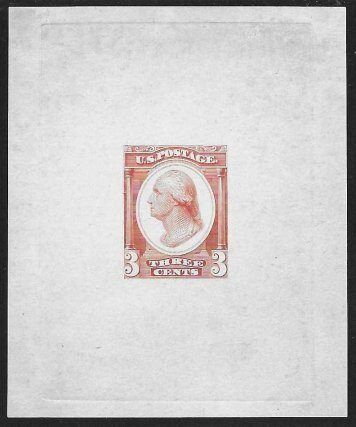 3c Scarlet die essay pulled on white glazed paper. published under our own imprint.